These are the tips you really should take to heart. Pokemon Go has finally been unleashed upon the unsuspecting masses, and it's taking over the internet as well as the hearts of nearly everyone who comes into contact with it. So it's natural you're going to need some help figuring out what's to do within the app. Truthfully, the app is not all that forthcoming about what you can do within the wide world of Pokemon Go, so I'm here to make things a little clearer for you. Hint: Your first directive is to make sure you watch where you're going when you're out and about in the world. This game isn't worth risking your life for or anything. If you want to save battery, just close out the app. A common misconception people have about Pokemon Go is that they need to have the app open and available to them at all times, or they need to be walking around with their faces glued to the screen in order to prosper. All you really need to do is keep your app open long enough to assess what's going on around you long enough, and that's it. When you travel to a new location or want to see which Pokemon are around to catch, just open your app (it doesn't matter if you're on iOS or Android) and let it update. You'll see the Pokemon around you and have the opportunity to catch them as long as you're standing still. When you're finished, just close out the app. All you need to do is head into it again and refrain from using it when you need to preserve battery. Due to the nature of the game and how Pokemon seem to randomly pop in whether you have the app open or not, it doesn't truly behoove you to keep it open unless you're walking around town on a mission to catch every single one that you see. Even then, it's more helpful to head to a Poke Stop or a landmark first and then let your app pulse for nearby Pokemon, then close it out. Using a GPS signal that's constantly on is obviously going to drain your battery -- that's a no-brainer. Play intelligently and check for Pokemon when you're standing still if you're not going to constantly be on the move, or check it at certain points on the way to your destination. Don't stress yourself out over Poke Stops. Yes, they're tempting. Yes, they appear everywhere all over your map. But you don't need to hit them up. In fact, if you're all about catching Pokemon, you should instead concern yourself with simply heading to different areas, or just wait for new ones to cycle through. You can get a few items at said Stops, but don't treat them as though they'll make or break your experience. Conserve Poke Balls and aim true. When you encounter a wild Pokemon, don't just start throwing Poke Balls at it willy-nilly and turn your AR camera off. 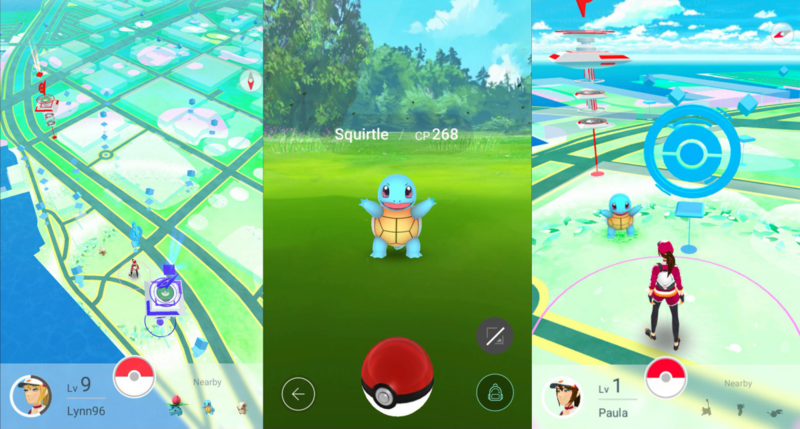 Without having to worry about the Pokemon being centered on the screen for a gimmicky view, you'll center the Pokemon on the screen and can aim easier than if you were using the AR camera to see it in the "real world." This way you can conserve Poke Balls for those pesky Raticates that really aren't even worth catching in the first place that somehow manage to take up five different Poke Balls before they finally give in. Also keep an eye on the green or orange ring that appears when you're about to aim and throw your Ball. Aim to get directly in that ring if you can by waiting and tossing your Poke Ball when it's the largest. This should usually ensure you hit your mark, and you can save on purchasing Poke Balls when you can't always get to them in the shop. There are enough Pokemon for everyone. While you're walking around the neighborhood looking for Pokemon, remember that the Tangela around the corner isn't unique to you and you alone. Just because you catch it, that doesn't lessen your friend's chances of getting it. There's enough for everyone, and you don't even have to worry about being "selfish." You should mainly concern yourself with what Pokemon are popping up where, as unique area will generally bring you more unique Pokemon. So just because your buddy caught a Staryu that doesn't mean your chances of nabbing one are suddenly zilch. Keep plugging away. That's just not how this game works. Get out there, have fun with your friends, and see how many Pokemon you can catch! You gotta catch 'em all, you know. That's the point, after all.